ASYMCA Hawai`i is unique in that we have three outreach centers, all of which are located on military bases. We also have a field site located in a multi-military housing development. Having these various locations makes it easier for us to bring our programs to all the branches of service; Air Force, Army, Coast Guard, Marine Corps, Navy, and National Guard. Children’s Waiting Room, provided by the Clarence T.C. Ching Foundation, is located at the Tripler Army Medical Center and U.S. Army Health Clinic, Schofield Barracks.The staff at these locations provide a safe, healthy and nurturing environment for healthy children, 6 weeks to 12 years, to wait while their parent or sibling has a doctor’s appointment. It is open to all branches of the military. Reservations are highly recommended. Children's Waiting Room on Tripler Army Medical Center can be reached at (808) 433-3270 and Children's Waiting Room at U.S. Army Health Clinic, Schofield Barracks can be reached at (808) 433-8410. 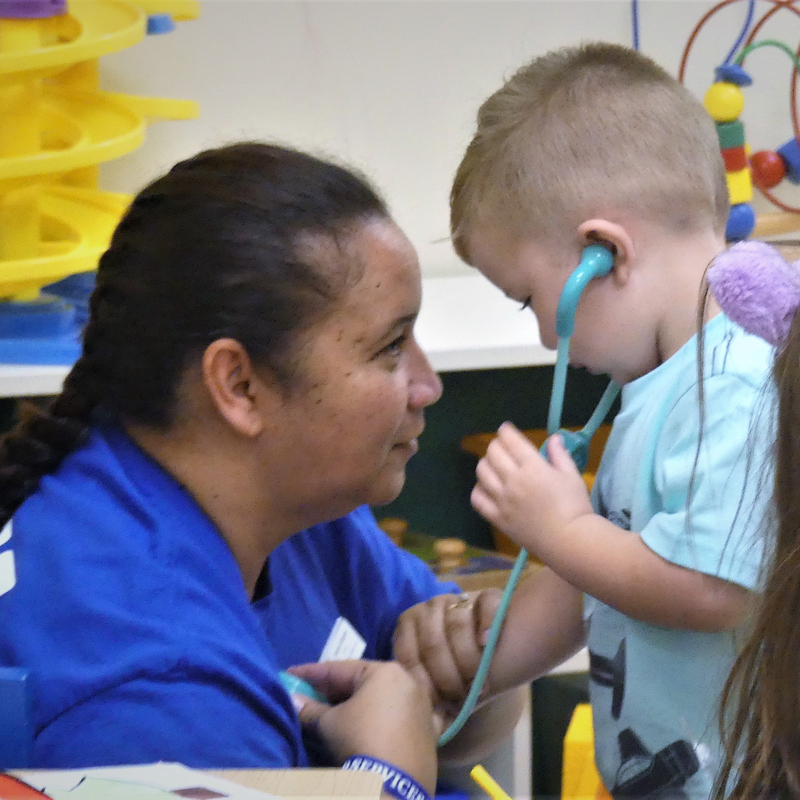 Parent Participation Preschool is a three-phased, part-time program provided by our Joint Base Pearl Harbor-Hickam, U.S. Army Schofield Barracks/Wheeler Army Airfield and Marine Corps Base Hawaii branches. It is a program designed for parents to help their child(ren) transition from home to school while working side-by-side with them. Level of parent participation is determined by class placement. Our dedicated teachers and teachers’ aides provide a stimulating, safe and nurturing environment which helps to give children a positive beginning to their education. Children must turn three by the end of December to be considered for the current school year. We have open enrollment. Click here to request an assessment. As a precursor to preschool, Early Learning Readiness (ELR) is a research based community program that administers a two hour structured learning course for children ages birth to three years and their caregivers. ELR offers children high quality physical, emotional, and cognitive experiences and arranges the opportunity for children and caregivers to engage in interactive learning activities and centers that promote vocabulary, math, and listening skills. With caregivers as a child’s first teacher, this instruction will equip them with the confidence, tools, and support they seek to ensure their child embarks on the journey to preschool ready to learn. Available through our branches on Joint Base Pearl Harbor Hickam and Wheeler Army Airfield. Playmorning is a popular program that provides an environment for parents to bring their children to a nearby community center for a time of craft, free play, storytelling and singing. 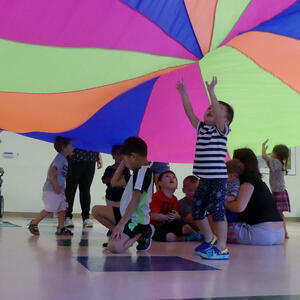 Playmorning promotes social skills, creativity, literacy and fine & large motor skills for children 0-5 years old. This program is provided through our Armed Services YMCA Hawai`i, Kaneohe Branch on Marine Corps Base Hawaii and Joint Base Pearl Harbor Hickam. Check with your local branch on school availability. Operation Hero is a program provided to military school-age children. It is offered through all three branches: Joint Base Pearl Harbor-Hickam, Wheeler/Schofield, and Marine Corps Base Hawaii and partnering schools. 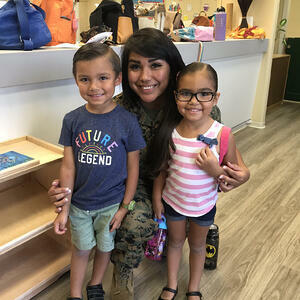 Operation Hero is designed to address challenges faced by many military children (feelings of isolation, feelings of self-doubt, frequent or long-term deployments by one or both parents and academic difficulties due to frequent moves). 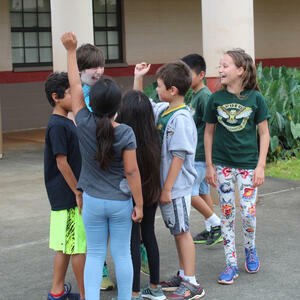 This program promotes social responsibility through team-building activities and targets children in grades 2-6. The dedicated facilitator takes the time to interact with the children on a one-on-one basis as well as in a group setting. This targeted method is believed to be the key to the program’s success. Father Daughter Dances help strengthen the connection between fathers and daughters by arranging elegant evenings to dance the night away. 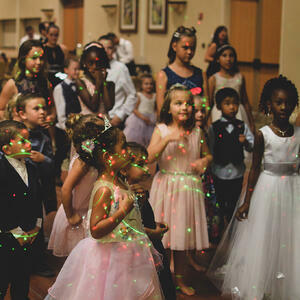 Military Children's Ball is open to every member of the military family such as mothers and sons, fathers and daughters or even the whole family! These events offer an entertaining outing for the guests and includes a delicious buffet dinner, dancing, prizes, and lots of laughter and smiles. 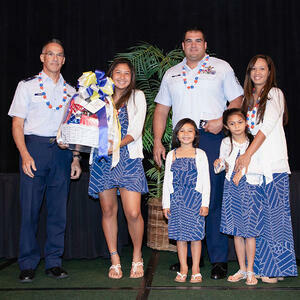 Save the date for our next Father Daughter Dance on Marine Corps Base Hawaii, April 27. The theme is "Magical Fairy Tale Garden." Fun and educational camps are hosted during the summer for students up to age 12. One of our highlight camps is the special STEM and robotics camp where children are introduced to the world of building, programming, and testing robotics. The camp culminates with an exciting competition between robots. Camp Hero is also a favorite for many of our children. Camp Hero is for children up to age 12. Registration for 2019 Summer Camps begins March 4! Food for Families provides emergency food/groceries for those in need at no cost through monthly Ohana Food Drops and on site food pantries. 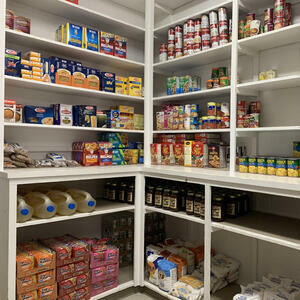 Each ASYMCA food pantry provides staple items. 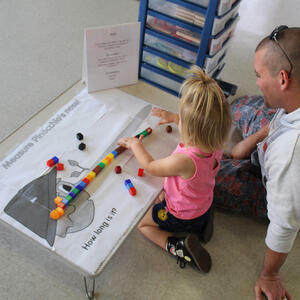 ASYMCA is also able to provide temporary financial assistance to military families experiencing emergencies. 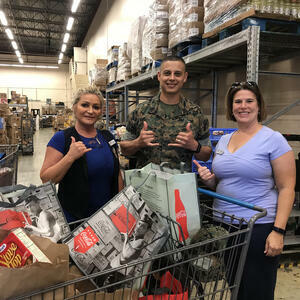 Ohana Food Drops occur on the fourth Monday of every month at our branch on Wheeler Army Airfield and the fourth Wednesday of every month at our branch on Joint Base Pearl Harbor Hickam. Operation Kid Comfort is offered through all three branches: Joint Base Pearl Harbor Hickam, Wheeler/Schofield, and Marine Corps Base Hawaii. 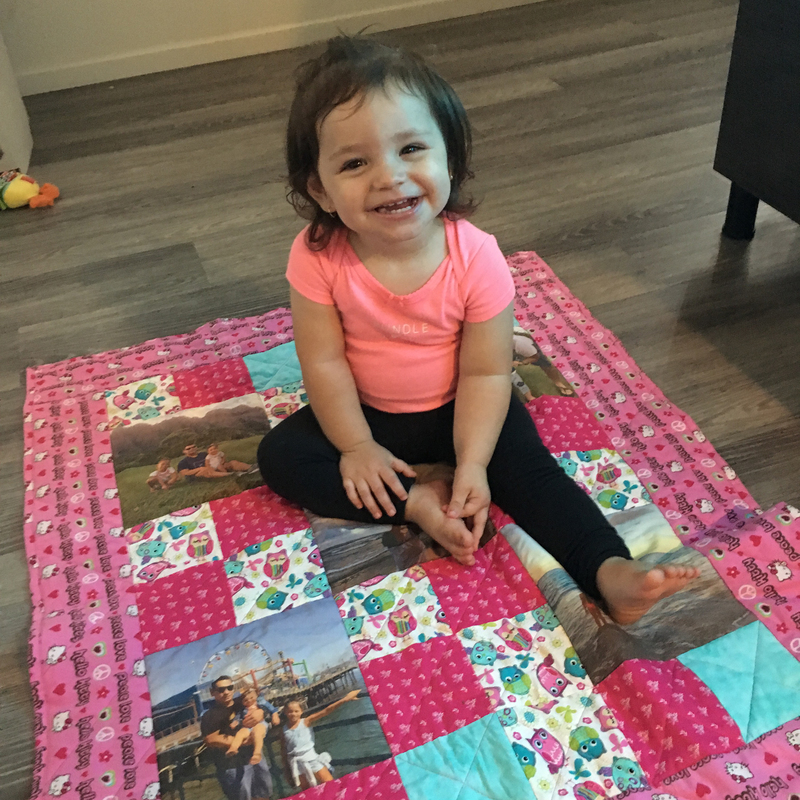 This program provides children of deployed service members a quilt or pillow with pictures of the deployed service member and the family. 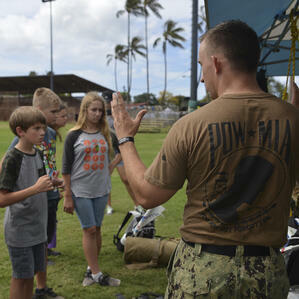 This program is designed to comfort and help children during the deployment. We have wonderful volunteer quilters who meet once-a-month to sew these quilts and pillows. To request a quilt or pillowcase, please click here. Remember to email 5-7 photos of the deployed service member to outreachdirector@asymcahi.org after you have submitted your request. For questions regarding this program, email outreachdirector@asymcahi.org. Holidays can be a stressful time for many especially some of our Junior Enlisted Soldiers. 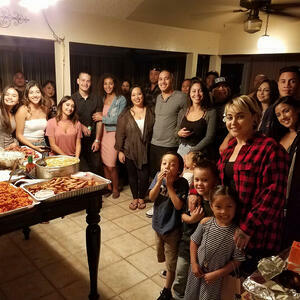 The families we help with this program are those who are truly having a hard time making ends meet and without our assistance would not be able to have a traditional holiday meal. We work with the base commanders to get the word out. If you would like to donate to this cause you can do so by dropping off non perishable items or make a by making a donation. If your family would benefit from receiving a Holiday Food Basket, please contact the closest branch to you. Holiday Food Baskets are given in November and December. The Armed Services YMCA, in partnership with Jack Daniels, brings troops home for the holidays with Operation Ride Home. Eligible service members and their families receive funding towards travel from their duty station to spend time with their loved ones back home. Mahalo nui loa to Jack Daniels for making this program possible! 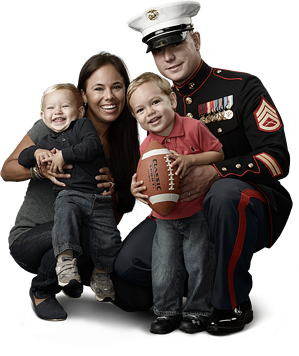 Celebrating the Military Family occurs every November and coincides with Military Family Month. This unique event provides community and military leaders the opportunity to honor one family from each of the six service branches (United States Army, United States Marine Corps, United States Navy, United States Air Force, United States Coast Guard, and the Hawaii National Guard) and recognizes their service and sacrifice. View our 2018 Honorees in this video.